Merlin here and welcome to another Mondays with Merlin. It’s also Mancat Monday, but today’s subject is not just for the boys. It’s a delicate subject about regularity and er, I confess to not being able to go with the flow as much lately. Layla went to the farm and said the pumpkins had arrived which was good news for me. Mind you, you can used the canned variety but fresher is better. Enough blathering. Here’s what she suggests. The cat in the photo is the farm cat and doesn’t seem to need any pumpkin. I wish you a smooth beginning to the new week and may you always go with the flow. Excellent! Great information and the graphic is hilarious! 🙂 I love filing away these little tidbits of info. Have a great day! Not that he needs it but Brad looooves pumpkin soup. He’ll even lick the bowl clean. 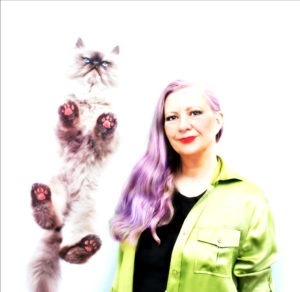 purrr…meow! We haven’t had that problem yet. We like to go when the Mom is around and see if we can knock her over (hee, hee, hee). Hmmm… a cup of coffee does the trick for the human Woman, but great advice for the kitties who should NOT be partaking in the java!!! Sometimes Mom thinks I need to have pumpkin being a Manx I have problems with this sometimes. We sometimes eat Weruva and we pick around the little cubes of pumpkin! Most interesting! So far so good in that department for Sammy but that doesn’t mean it couldn’t happen – – – I’ll remember the tip…I adore pumpkin myself and if it’s easily “hidden” in food, I bet Sam would indulge and receive the desired benefit! Thanks Layla……..
Hmmmmmmm, I thought they were cool, up until now! And don’t use pumpkin pie filling, it has sugar and spices. hmmmm…Mommy thinks SHE might need the pumpkin more than US, heh heh. Good luck with that. We wouldn’t touch any of our stinky goodness with even just a bit of pumpkin in, when the mom tried it once (for the opposite problem we boys were having, briefly). 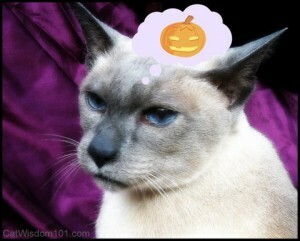 Hmmm…I think BOTH Mom and I should eat some pumpkin! I’m laughing so hard my sides hurt! Great post – and great advice. 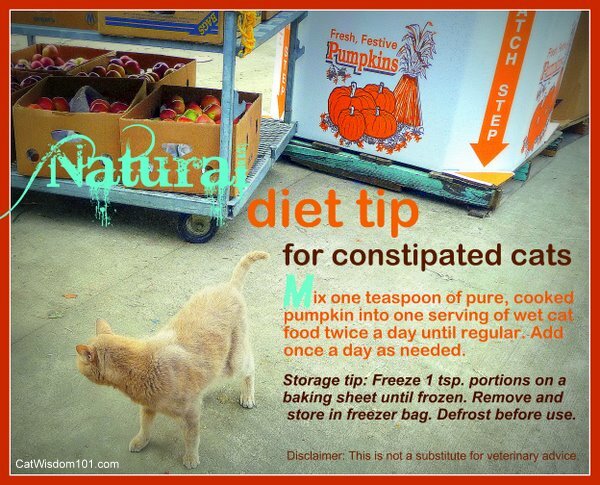 Interestingly enough, pumpkin can help regulate both constipation and diarrhea, and most cats won’t detect the added “flavor” at all.